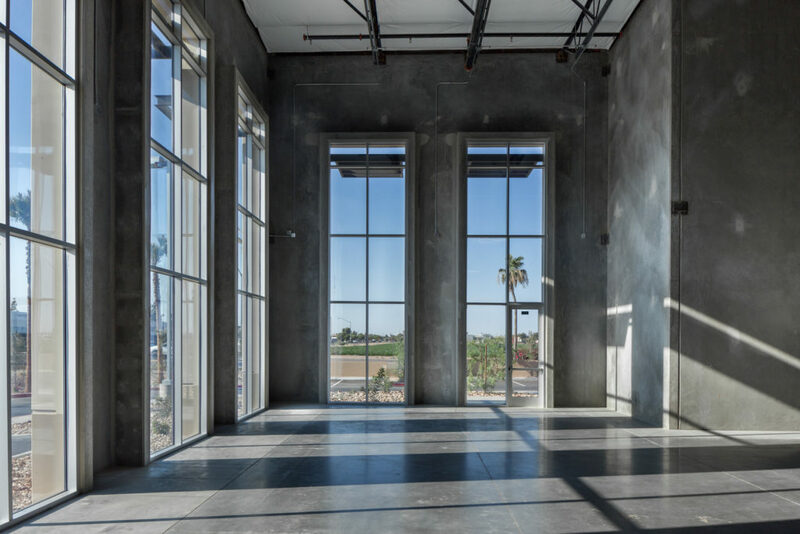 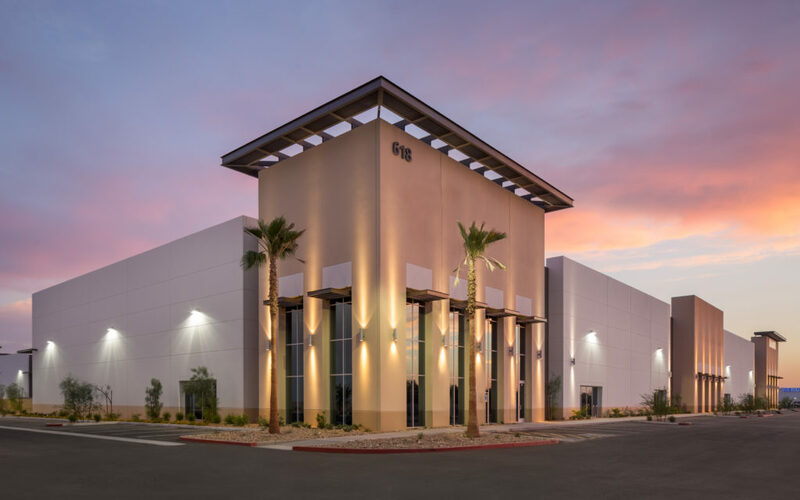 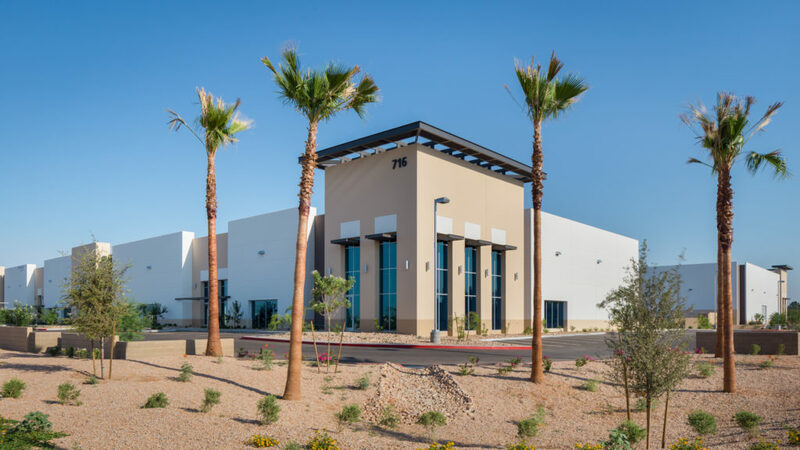 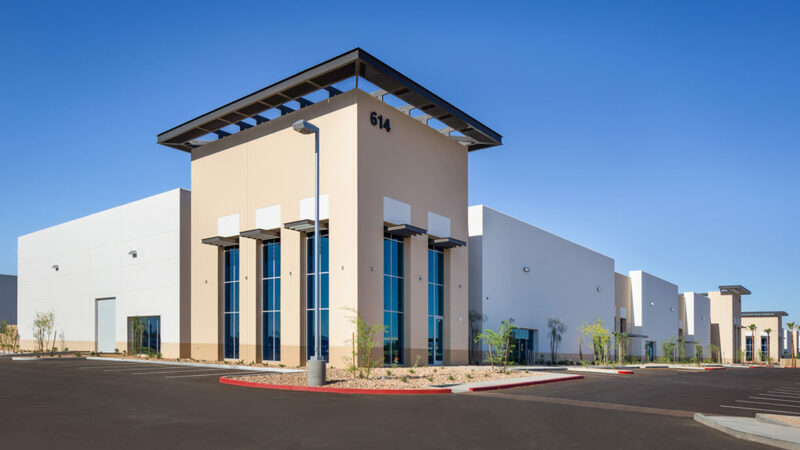 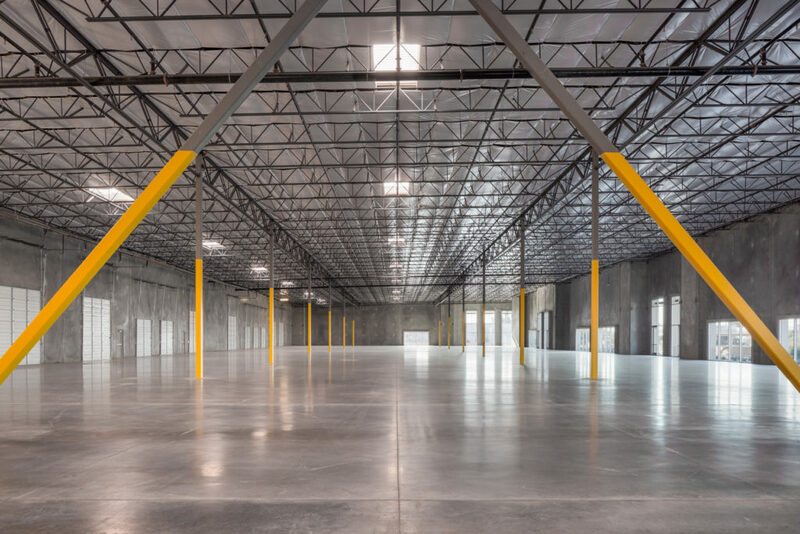 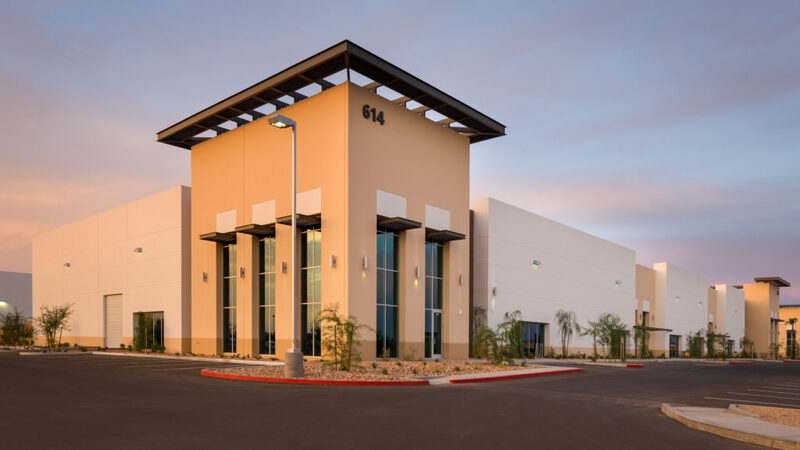 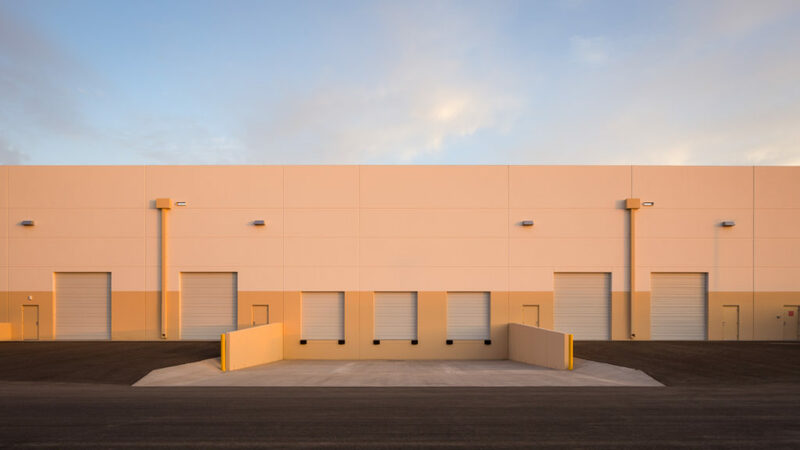 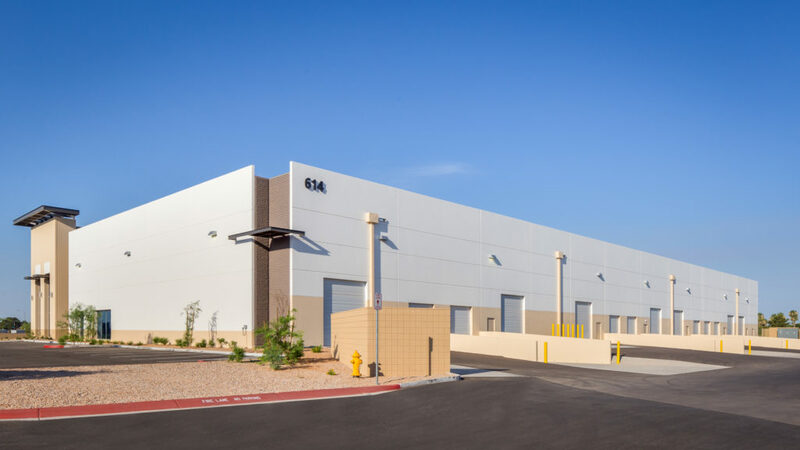 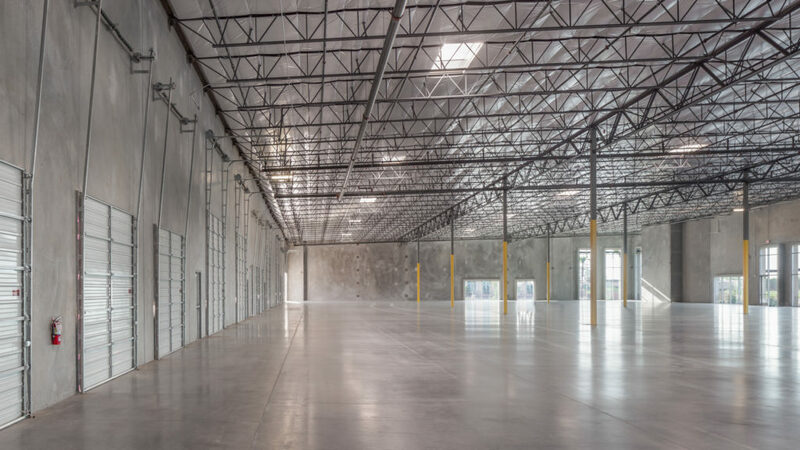 Metro East Valley Commerce Center is a 21.5-acre general industrial warehouse development in a dense urban infill location in the greater Phoenix southeast valley community of Mesa, Arizona. 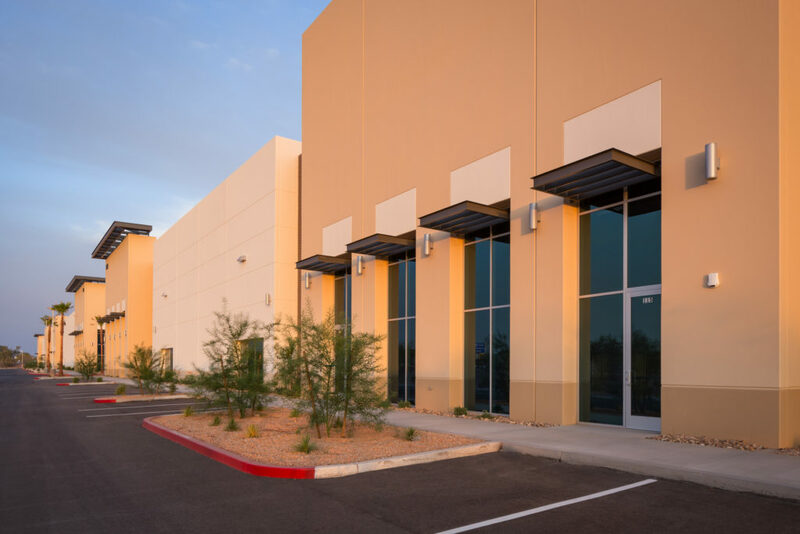 The site possesses over 1,300 feet of highly visible frontage along the south side of the US 60 Superstition Freeway, mid-distance between full-diamond interchanges at Mesa Drive (West) and Stapley Drive (East). 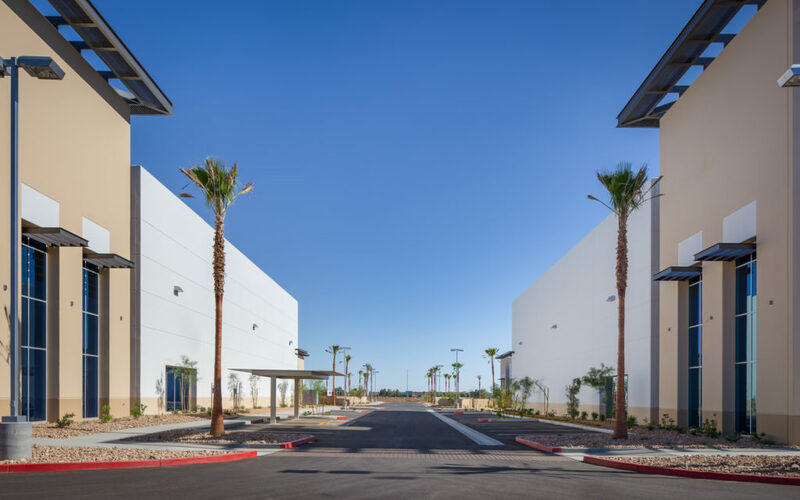 The site maintains multiple points of direct ingress/egress from two fully improved city streets – E. Auto Center Drive and S. Horne Drive. 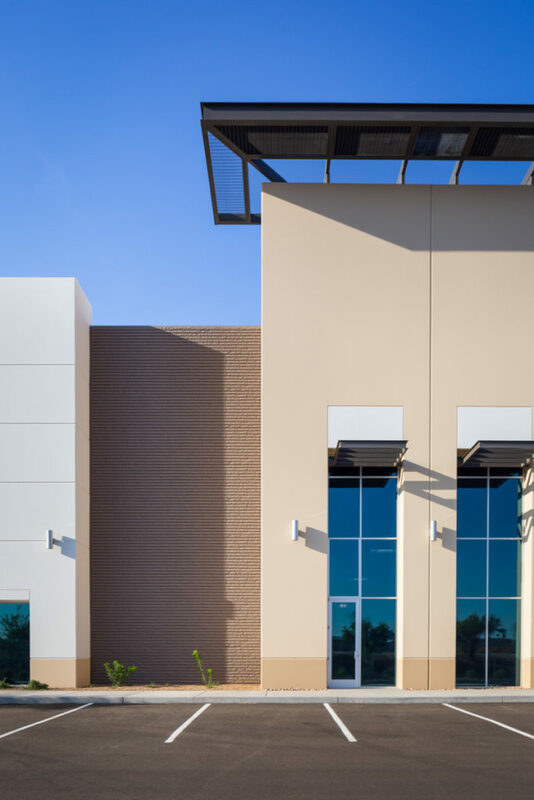 Lighted intersections at Mesa Drive & Auto Center Drive, Baseline Road & Horne Drive, and Baseline Road & Hobson provide easy controlled access points to major thoroughfares serving the Southeast Valley communities of Tempe, Chandler, Gilbert and Mesa. 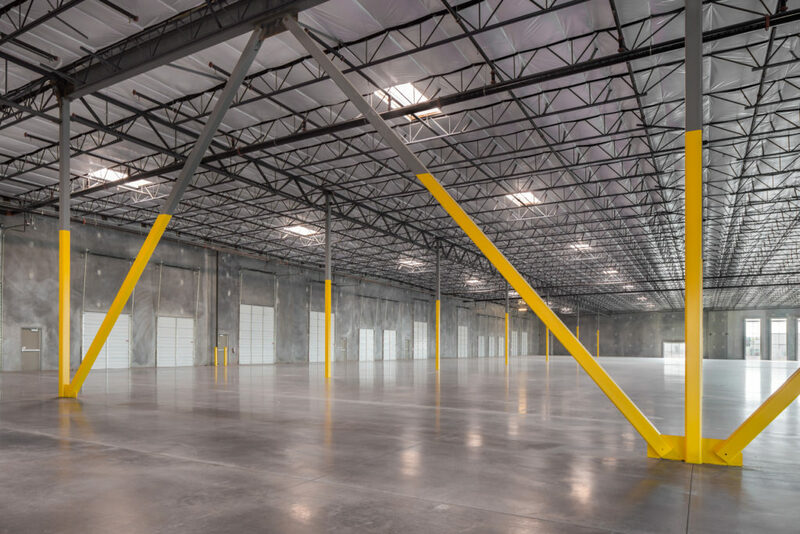 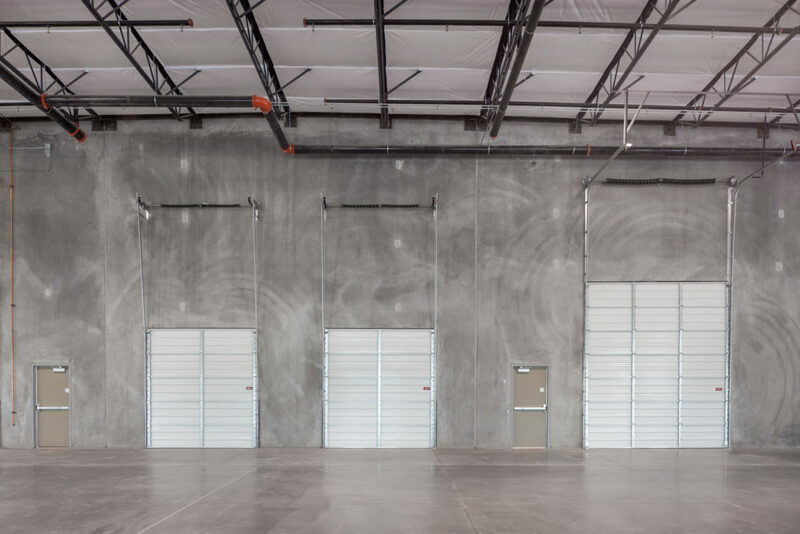 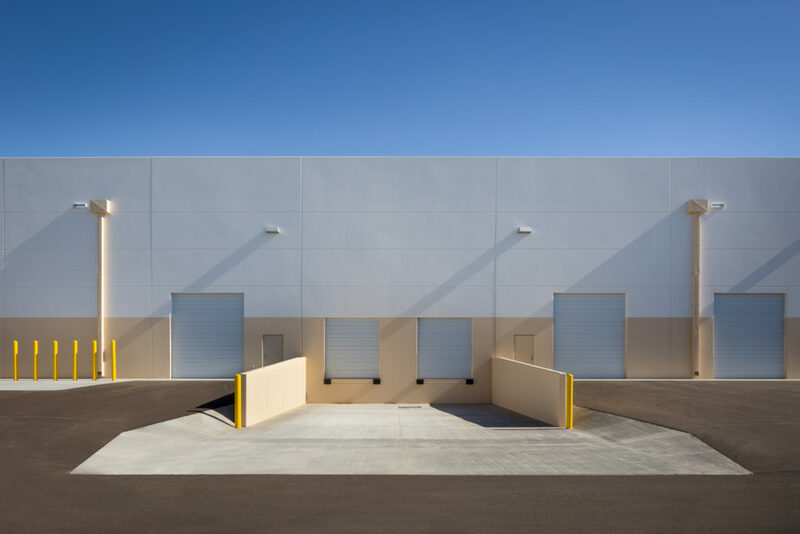 The project consists of four warehouse buildings totaling 349,049 RSF with 24’ and 30’ clear heights, ESFR sprinklers, with dock-high, truck-well and grade level loading in shared 170’ rear load truck courts. 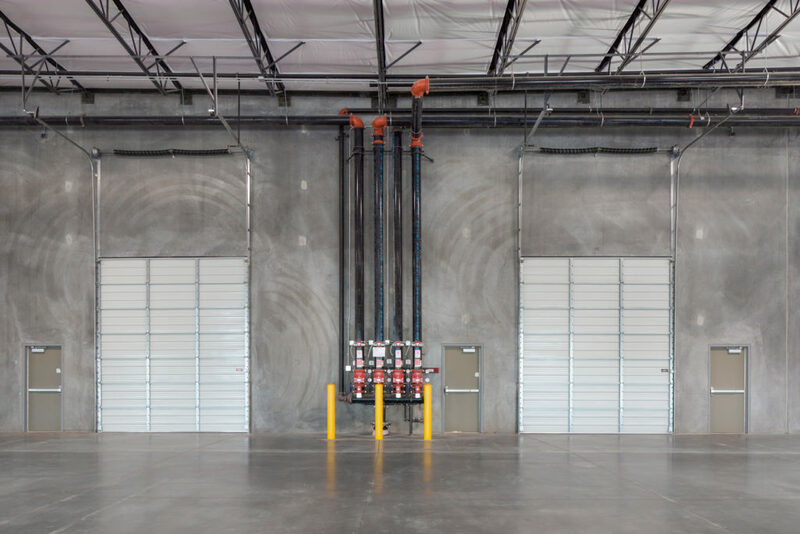 Bay widths range from 40’ to 56’ with building depths that range from 146’ to 190’. 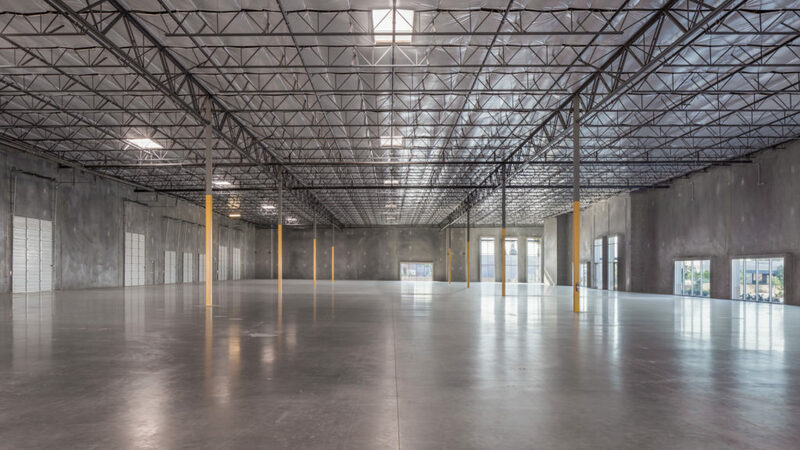 Parking will range from 1.75 to 2.25 spaces / 1000 SF which allows the project to functionally accommodate small, medium and large industrial users with average office finish ranging from 5 – 20%.